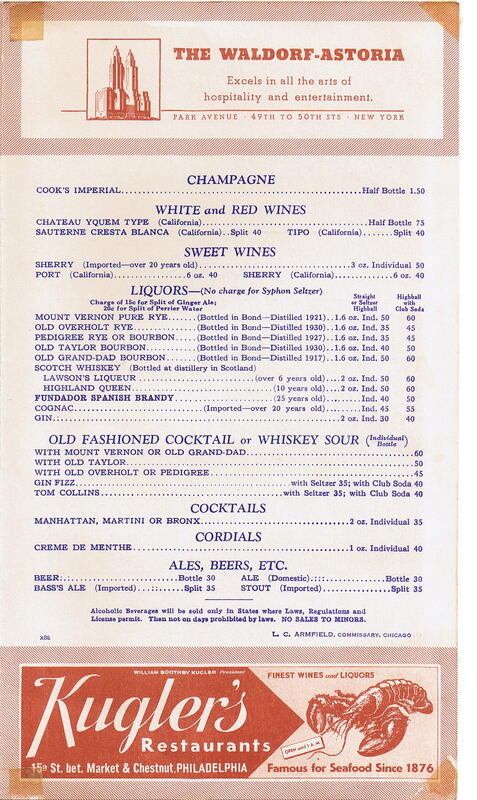 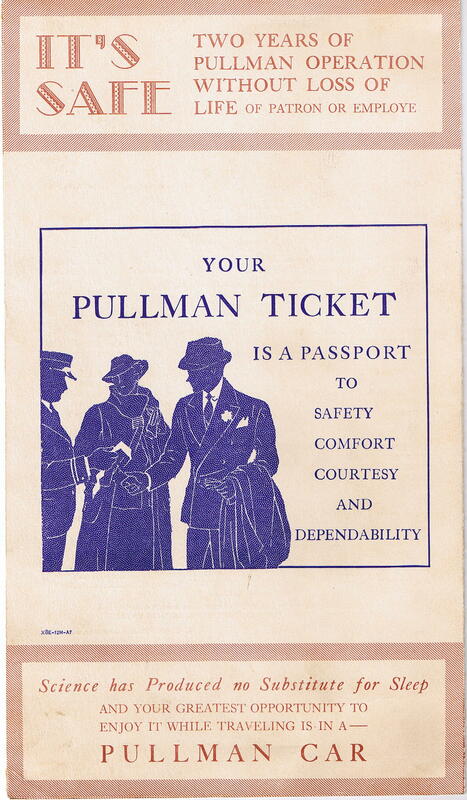 Description A very nice Pullman menu from 1937 used in Lounge and Club Car service. 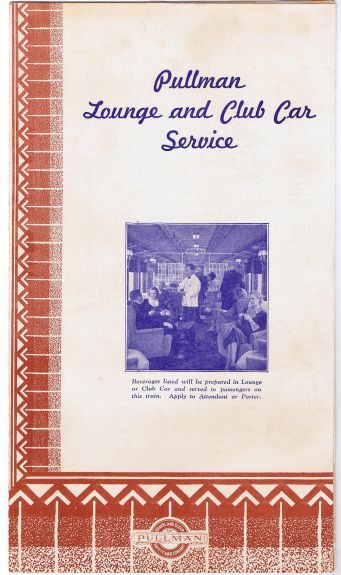 This is a very typical service offered by Pullman to first class railroad passengers during the 1930s, but menus in this condition are still difficult to find. 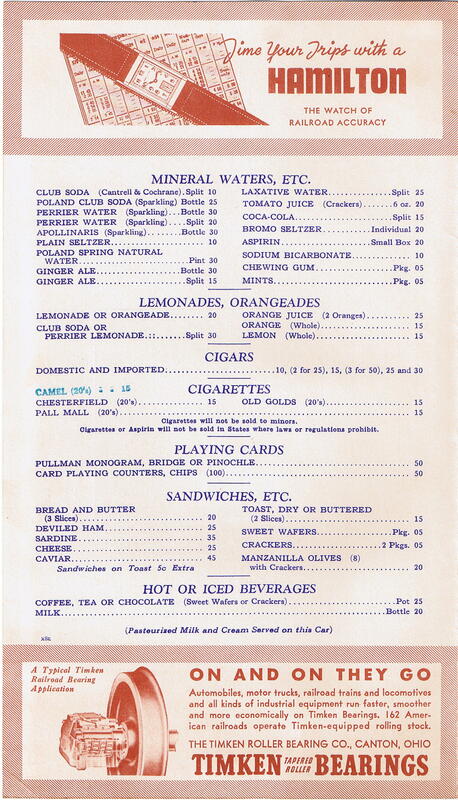 Most of the items offered are beverages, but some sandwiches and other sundry items such as playing cards and cigars were also sold.